How do I turn the Physics on and off in MMD 7.96? Can I set the Physics to be on all the time in MikuMikuDance? Why is my model’s hair and dress so stiff looking? Hi Everyone! This Is NicoleNakanoMMD! 5.And You Can See Your Model with His/Her Physics Are On! 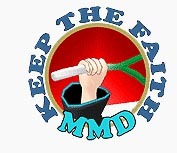 Remember To Keep The Faith MMD!